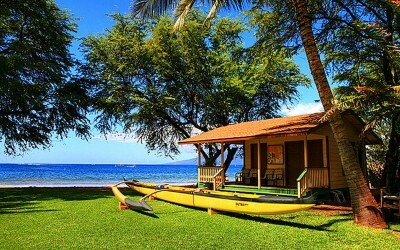 Looking to live the postcard? 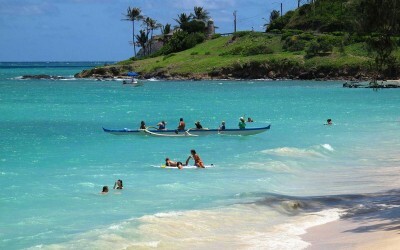 Waikiki is a great place to start. 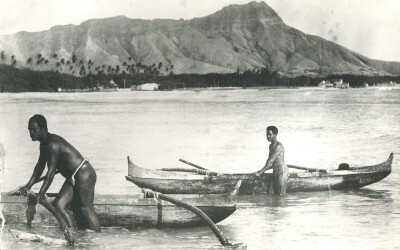 Here a tour group takes a ride on a wa’a (outrigger canoe) in front of Duke’s Place in Honolulu. 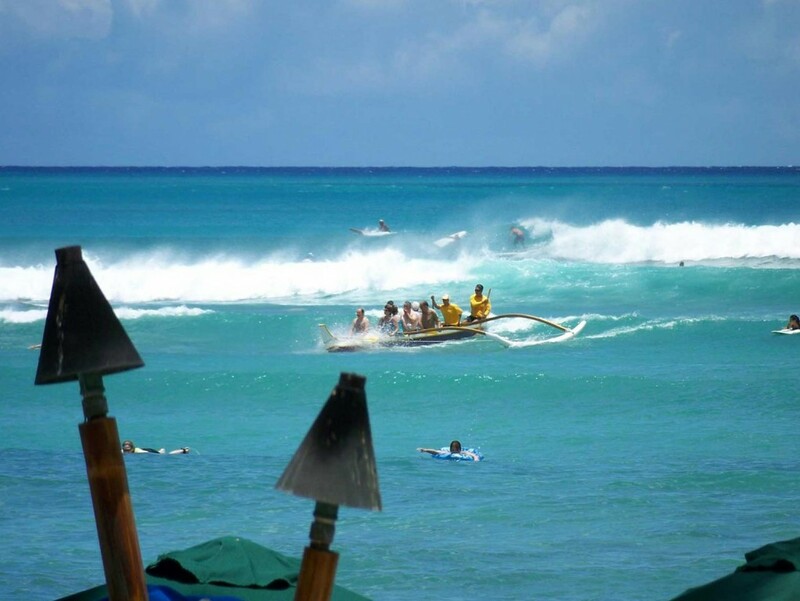 Waikiki outrigger rides are fun for both the riders and the onlookers. 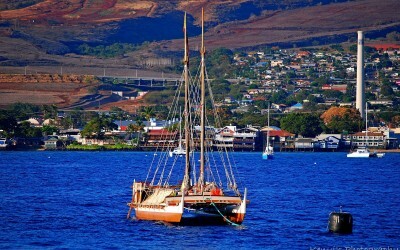 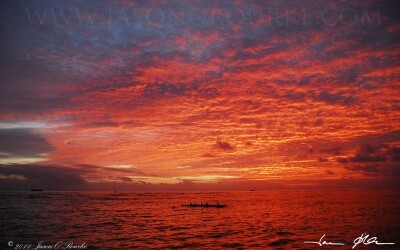 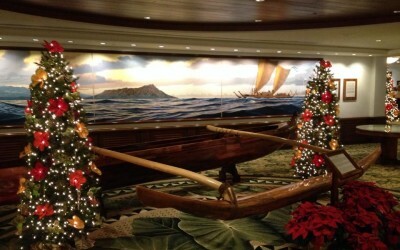 These traditional Hawaiian boat rides go out every couple of hours from the shores of Waikiki. 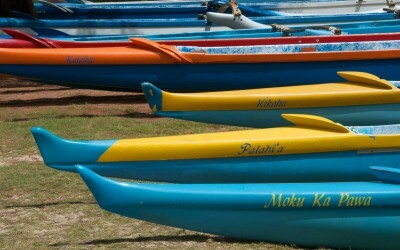 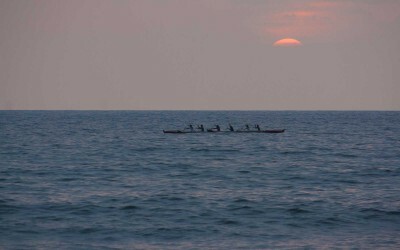 Depending on your skill level and your guide, you may have to do more or less paddling. 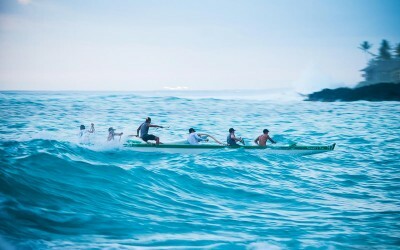 And, depending on the waves, you may or may not get a free bath in the Pacific!